I need to start baking donuts more often. They're a cinch to make, requiring no mixer - just a bowl and a quick mix with your hand. Easy peasy lemon squeezey. 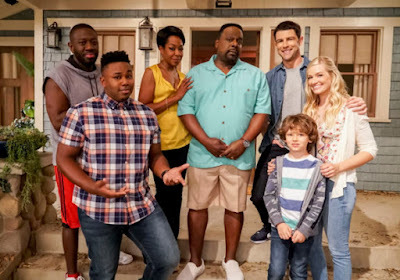 And the results? I mean, come on. This time around, I was not a dummy and did not try to force all of the dough into the 6 cavity donut pan. 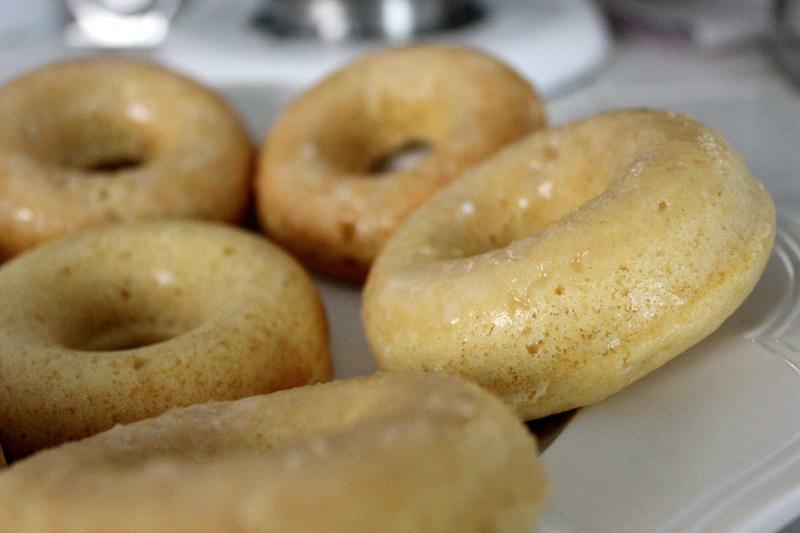 That was just silliness when I made the brown butter donuts. 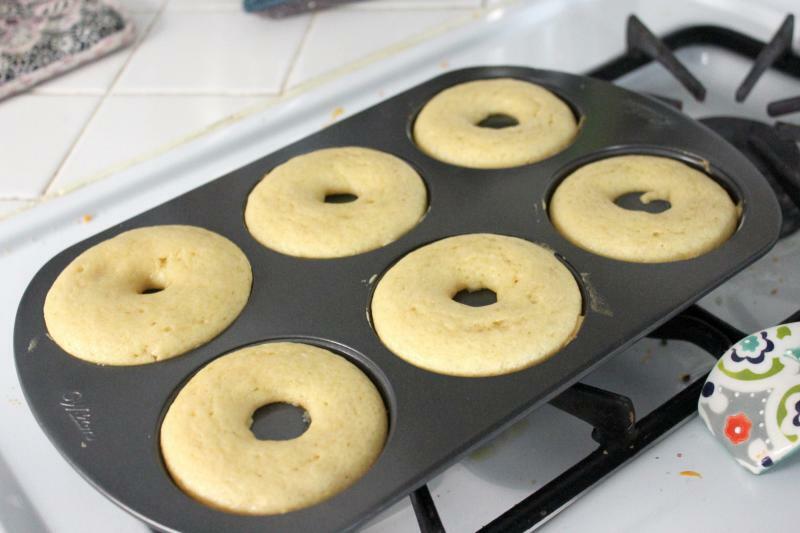 When you have two donut pans, just use them both, duh! Also? Please do make sure you spray these with non-stick spray for these. I know when your pan is supposed to be non-stick, usually you don't need to do it, but trust me here - just do it. These are really quite like little delicious cupcakes in doughnut form. 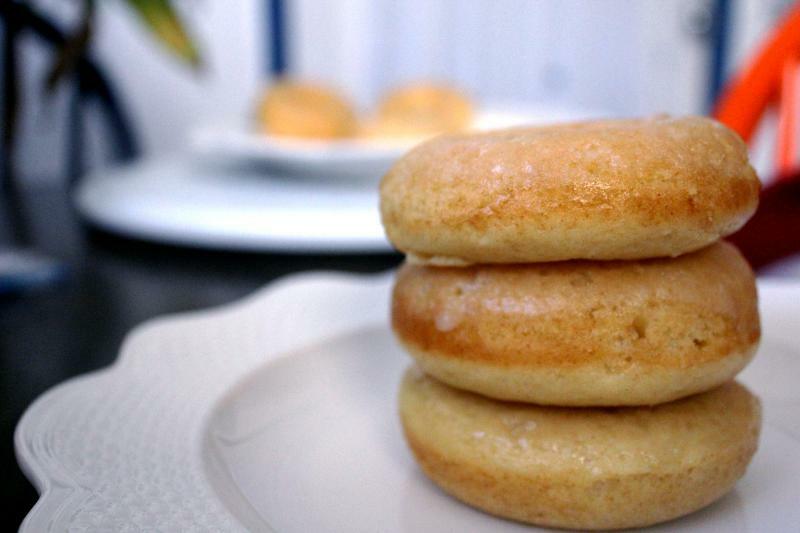 Light and airy little round cupcake doughnuts? Sure, we'll go with it. But seriously, I don't think you'd regret making these! Get to it! 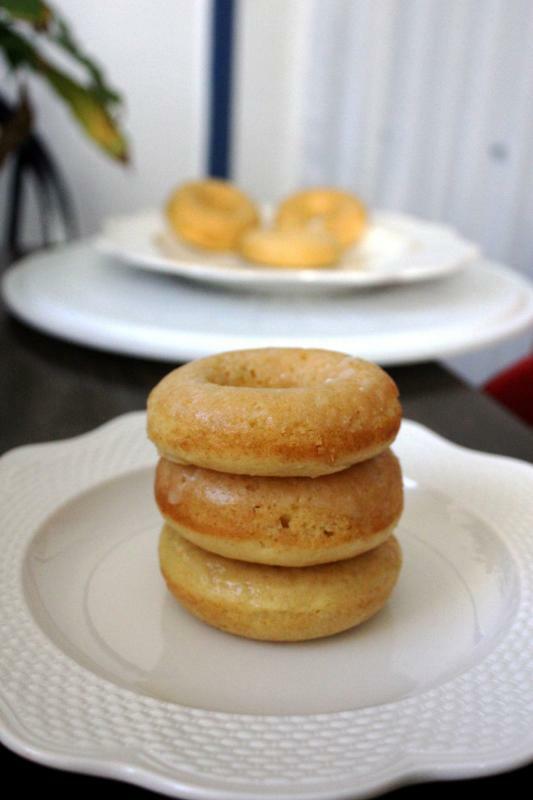 Lightly flavored baked doughnuts that are super easy to make at home. Preheat your oven to 325°F. 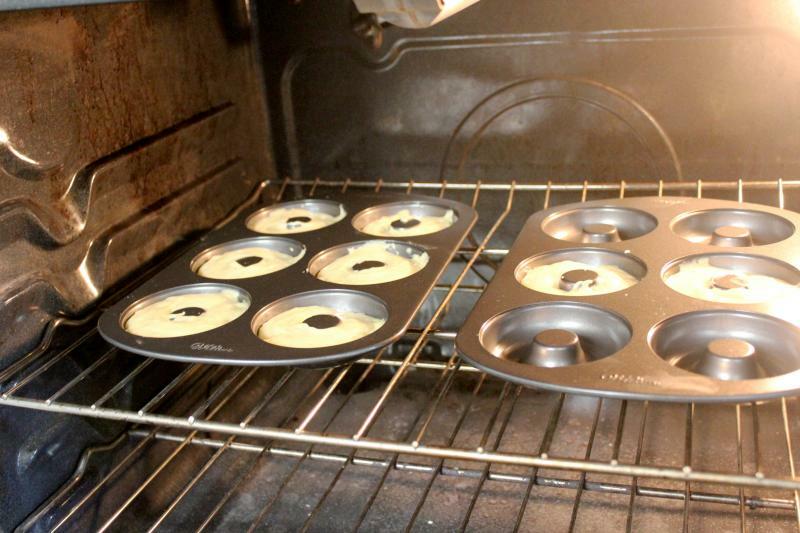 Lightly grease, or use cooking spray, your donut pan(s). 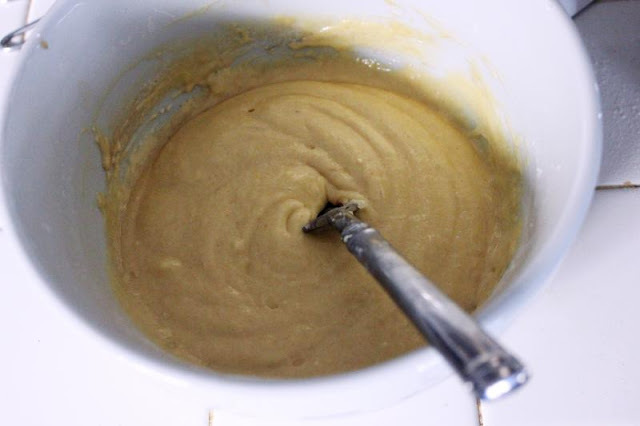 In a medium-sized bowl, mix together flour, sugar, baking powder, cinnamon and salt. Add in the buttermilk, egg, vanilla and melted butter. Whisk or stir to get all combined together. Spoon (or go crazy and use a pastry bag) the dough into your prepared pans, about 2/3 full for each donut. Bake for 8-11 minutes until the donuts spring back when touched. They won't look browned or anything, but they should be a bit set. Mine took 10 minutes. Then let that sit in the pan for about 5 minutes before removing. While they're cooling, make your glaze. Whisk together your powdered sugar, vanilla and milk until you get your desired consistency. I did about 1 1/2 teaspoons of milk. 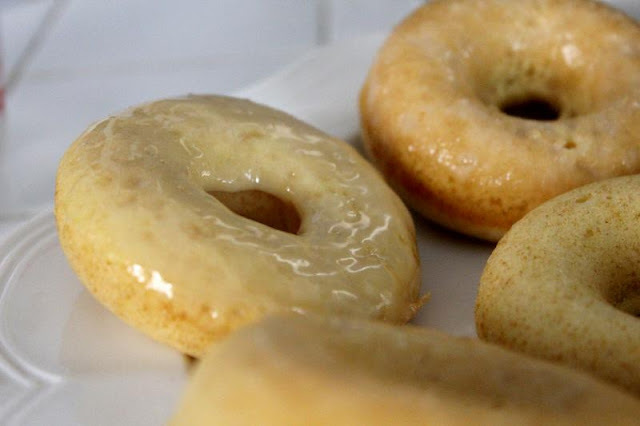 Dip your donuts into the glaze and then let set on a plate. You can always add some sprinkles for extra flair at this point as well. 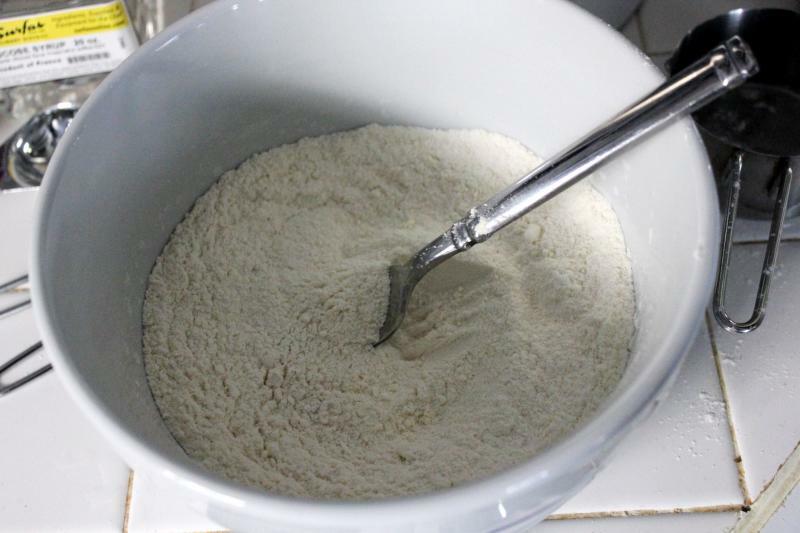 Mix up your dry ingredients - flour, sugar, baking powder, cinnamon and salt. 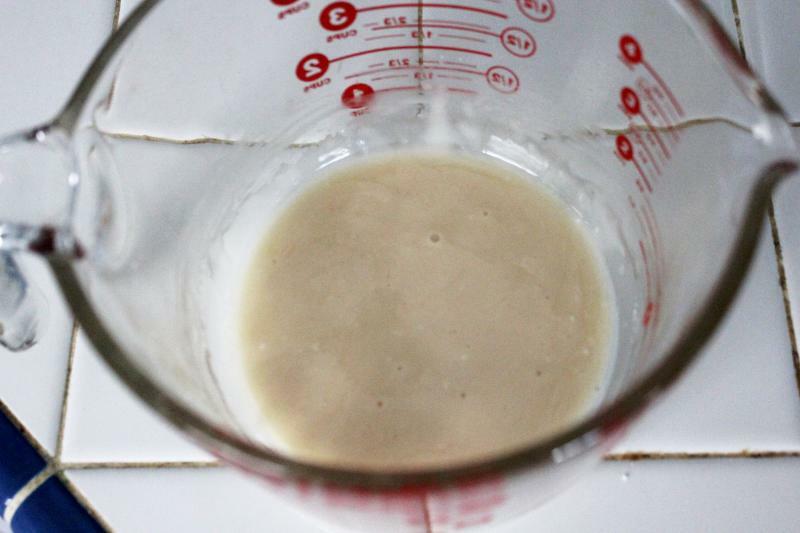 Then mix in your wet - egg, buttermilk, vanilla. You can pipe that into your cooking-sprayed pans, or just spoon them in. That's what I did. As you can see, I got 7 donuts out of the deal. Bake those for 8-11 minutes until they are springy to the touch. Mine took about 10 minutes. Let those sit in the pan for 5 more minutes while you prepare your glaze. For your glaze, mix up your powdered sugar, milk (or water) and vanilla. Then get to dipping. It's up to you which side you dip, but it usually tends to be the side that was in the bottom of the pan. This glaze didn't stick out a lot on these. If you want a thicker glaze that is more apparent, add more powdered sugar.